Mountain Biking designed specifically for families with children under 12 years of age. Cycling is such a great way for kids to feel freedom, independence, and experience achievement. And it’s just simply an excellent way for families to spend time together. Children (and parents) without a great deal of bike experience will generally pick up bike handling skills quite easily. With a few tips, you are off road and having a blast! If your family has a child 12 or under, then this trip has been designed specifically for you. Whether your child is an avid cycler, or just being introduced to the idea of mountain biking, we are professionals at picking the right trails and making this day fun. There are many options to choose from depending on your experience. 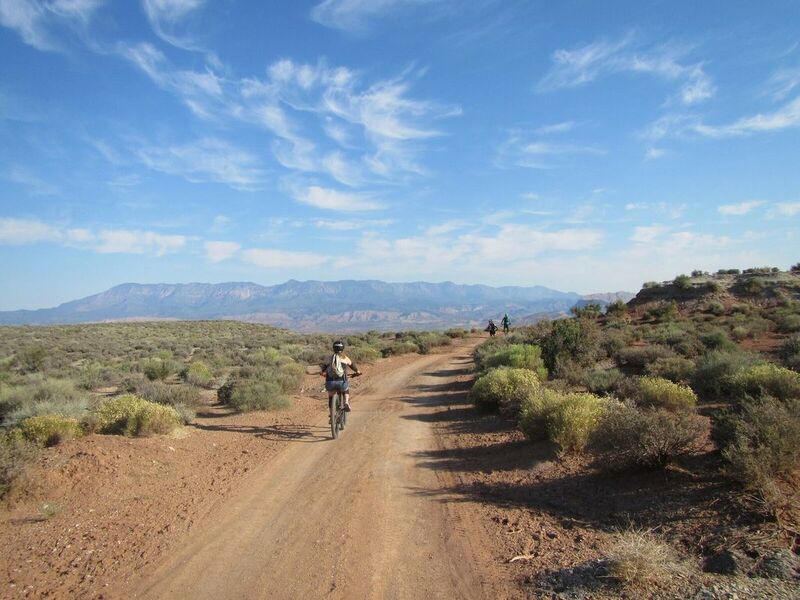 Double Track – a maze of trails wide enough for off-road vehicles that are generally smooth and flowing; Single Track – more technical trails wide enough for only a single person that is a little more challenging; or Slickrock – a technical sandstone rock experience made famous in Moab. Providing the opportunity for children to connect to the outdoors a passion and specialty of ours. Every one of our guides adheres to an extensive training program designed by professional certified educators, and undergoes critical review and assessments every year following employment. This is how we can guarantee you the right trails, and the safest and highest quality experience. Kids and bikes have always been drawn together by a natural magnetism. We guarantee this adventure is time well spent. Call and speak with an outfitter today. Family Mountain Biking is designed for families traveling with at least one child who is 12 or under. If you are visiting with older children, then the Guided Mountain Biking options will serve your family best. out, June through August. Check your calendar and book early. Please note: Family Mountain Biking trips are not subject to additional large group discounts. Never had been mountain biking before but my guide, Bailey, made sure I was familiar and comfortable with the bike. She rode me thru progressively difficult terrain so I could experience all the aspects of mountain biking. What an exhilarating experience!!! " We booked a bike tour for my birthday and could not have asked for a better experience. (Our guides) were friendly, easy-going and made sure we had the experience we wanted. They and Zion Adventure Company made sure we were comfortable, prepared and had fun.